Sorry to hear about the tough times! 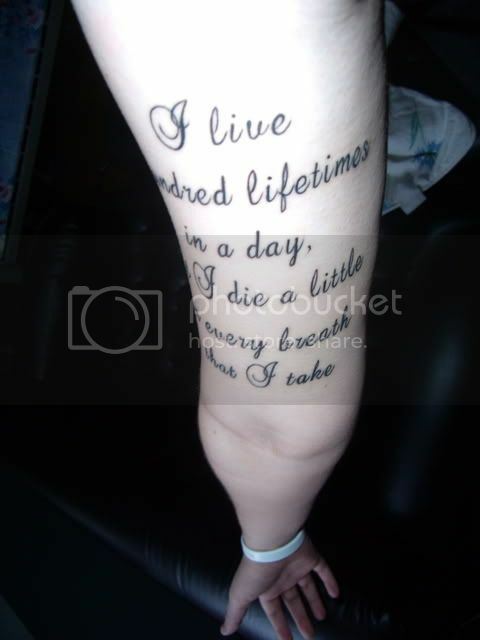 Full quote is: "I live a hundred lifetimes in a day, but I die a little in every breath that I take." ^^ Wow that's really cool. I'm too chicken to get a tattoo. ^It's really not bad at all. Though for this one, the inner arm hurt a good bit. Plus, it all depends on placement: the more meaty the area, the less it hurts. Even then, it's a weird sensation, more of an annoyance than painful. 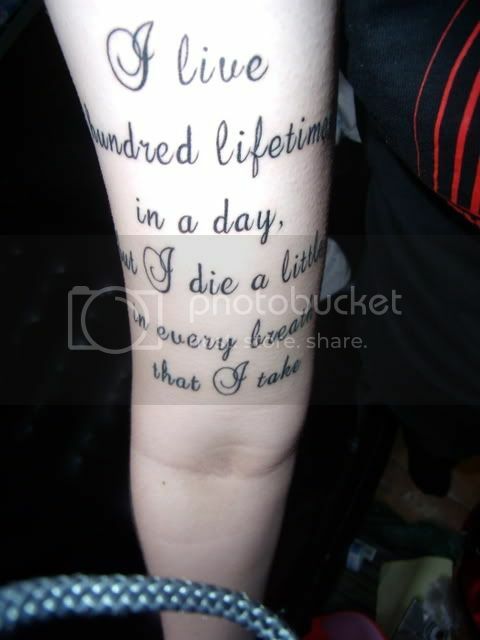 I'm thinking I'm going to do my next one in white ink on my wrist. 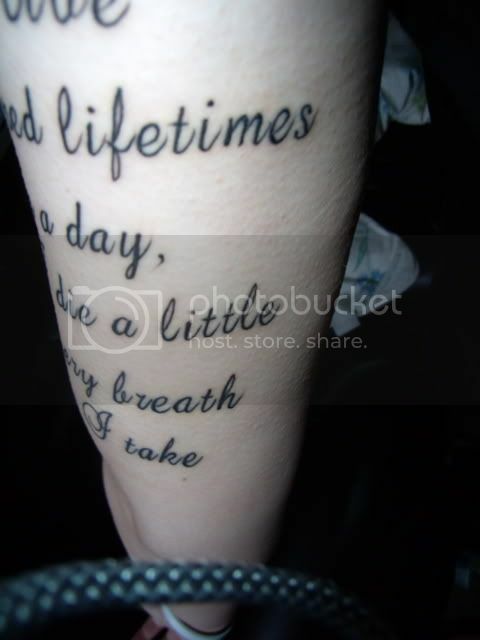 ^^^ Wow, Cassie, nice tattoo I take it you didn't have a lot of pain? I hear a lot of people say it's more of a weird feeling than really painful, only in the beginning it can hurt a lot. ^Thanks! Nope, not a whole lot of pain. I have another on my forearm and this one was very similar pain-wise, other than my inner arm, which sucked. It's definitely a weird feeling, like an annoyance, but not really painful per say.